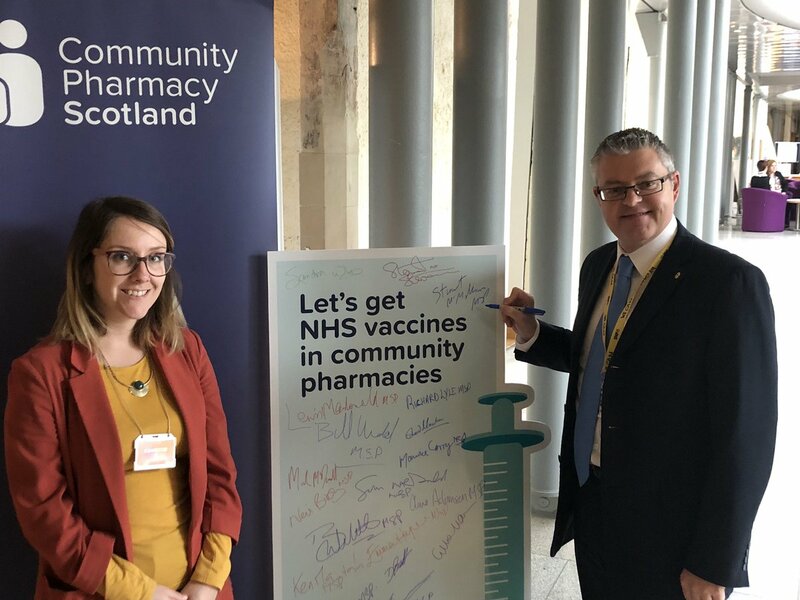 Health campaigners needled Greenock and Inverclyde MSP Stuart McMillan last week – but it was all in the cause of learning first-hand how our local pharmacies can help deliver a vital health service to the public more effectively. In the view of Community Pharmacy Scotland, that means that Scotland’s hard-pressed GP services are coming under ever-greater pressure in their battle to balance a whole range of services. 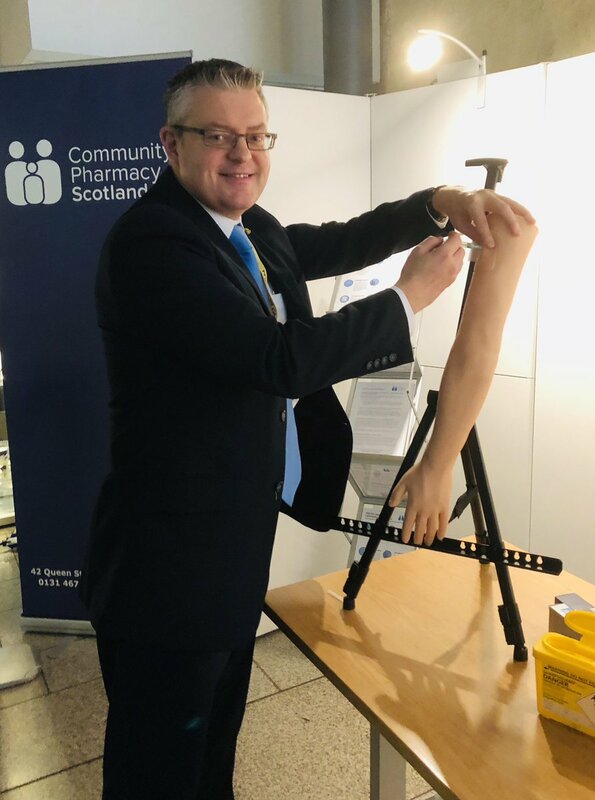 This prompted Community Pharmacy Scotland clinicians to take to the Scottish Parliament to show MSPs first-hand just how easily they could help, using a dummy medical arm just in case nervous politicians found their aim was off! “For certain groups, catching the flu can have serious health consequences, so it’s crucial that as many people as possible receive the vaccination. “If pharmacies were allowed to administer flu jabs, this would take the pressure off GPs which would be beneficial for the health of everyone if more doctors’ time was freed up.